The Palestinian Centre for Human Rights (PCHR) condemns the Israeli settlers' ongoing and escalated attacks on Palestinian civilians in the West Bank. The latest of these attacks has been against a house belonging to a Palestinian woman in Kherbet Abu Falah village, northeast of Ramallah, and throwing a tear gas canister and a sound bomb into the house balcony, due to which the balcony contents caught fire. PCHR believes the Israeli forces' cover-up of settlers' attacks and even support and protection for them encourage settlers to continue their systematic attacks against the Palestinian civilians. PCHR believes further that such crimes come in the context of the continuing incitement by the Israeli government against the Palestinian people. As a result, settlers have been pushed towards more extremism and hatred against Palestinians. PCHR condemns these attacks, the Israeli government's silence and even support for them. 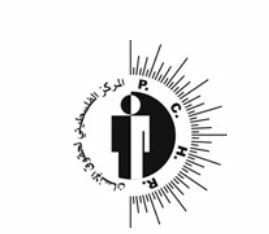 Moreover, PCHR calls upon the international community to immediately take an action to protect the Palestinian civilians in the occupied Palestinian territory (oPt). According to investigations conducted by PCHR, in the early morning on Sunday, 23 November 2014, a group of settlers sneaked into Kherbet Abu Falah village, northeast of Ramallah. They headed towards a house belonging to Huda Abdul Ghani Abdul Rahim Hamayel (54) and tried to raid it. They broke the balcony's window, spilled an incendiary substance inside and set fire to the balcony's contents after throwing a tear gas canister and a sound bomb inside. The armchairs, chairs, curtains and other furniture pieces in the balcony caught fire. The settlers wrote on the house walls in Hebrew "Death to Arabs, avenging the blood of religious Jews". They also drew David Star, pointing to the Jews who were killed by a Palestinian from Jerusalem in occupied Jerusalem inside a synagogue 5 days before this attack. It should be noted that it is the first time that settlers use tear gas canisters and sound bombs in their attacks against Palestinian civilians and their property in the oPt. "I was with my 3 daughters aged 11-27 in our house in al-Sha'ab neighborhood in the north of Kherbet Abu Falah, northeast of Ramallah. At approximately 03:30 on Sunday, 23 November 2014, we woke up to a strange movement behind the house from the western side. I thought there were thieves or Israeli soldiers around. I immediately switched the lights on and then heard as if someone was climbing the outer stairs. In the meanwhile, I heard something had hit the balcony's door and broken the balcony's window. I noticed someone was attempting to open the inner steel door. I tried to know who those people were, but nobody answered. My daughters and I started screaming and calling neighbors and relatives for help. A minute later, I heard people talking in Hebrew and then throwing a sound bomb inside the balcony, due to which, we heard an explosion and were frightened. Moreover, they threw a gas cansiter and then a Molotov cocktail and ran away to the mountain area towards "Adi Add" settlement outpost, which is 3 kilometers away from us. The armchairs, chairs, curtains and other furniture pieces in the balcony caught fire. In the meantime, neighbors arrived to extinguish fire. Forty minutes later, a Palestinian civil defense vehicle arrived and extinguished fire. We got out of the house and noticed writings in Hebrew and David Star on the walls. The writings stated "Death to Arabs, avenging the blood of the religious Jews". At approximately 07:00, Israeli forces and police came and photographed the house. They took my statement regarding what had happened and seized some items used by the settlers in the balcony. At approximately 11:00, the Israeli police and liaison officers came again and asked me to go to the police station in "Beit Eil" at 13:00 to file a complaint". 3. Reminds the international community that settlement activities constitute a war crime according to international law. Therefore, the High Contracting Parties to the Fourth Geneva Convention, individually and collectively, are legally and morally responsible for fulfilling their obligations and ensuring Israel's respect to and application of the Convention in the oPt according to article 1 of the Convention. Human rights groups have accused Israel of encouraging a shoot-to-kill policy after a wave of incidents in which police shot dead Palestinians involved in, or accused of, attacking Israelis. The alleged practice of killing suspects without trying to arrest them has caused concern after a series of deadly Palestinian attacks also resulted in the perpetrators' deaths -- and not always at the scene. In a rare move, a Jerusalem court on Sunday indicted a border police officer after he shot and killed, unprovoked, a Palestinian teenager during a May demonstration in the occupied West Bank. For some, the charge of manslaughter in the case was not strong enough, and Public Security Minister Yitzhak Aharonovitch's comments that "a terrorist who strikes civilians should be killed" indicate no further such investigations will take place. "Aharonovitch's statement and its application on the ground show that the authorities simply want these incidents to end ­- with the terrorist killed at the scene rather than brought into the justice system," Carolina Landsmann wrote in Haaretz newspaper. Israeli rights group B'Tselem says that one of the first victims of "extrajudicial executions" was Abd al-Rahman Shaludi, a 21-year-old Palestinian from East Jerusalem who rammed his car into Israeli pedestrians on Oct. 22, killing a young woman and a baby. He was shot at the scene by police and died several hours later. Earlier this month, police shot dead 22-year-old Kheir Hamdan, a Palestinian citizen of Israel, during an arrest, claiming he attacked them with a knife. However, CCTV footage showed him banging on the outside of a police van with a small object before turning away, as a police officer got out and shot him in the back. Last week, two Palestinians stormed a synagogue with meat cleavers and a gun, killing four rabbis at prayer and a policeman who came to help. They were shot dead at the scene by police. None was brought to trial, and the suspects' families face the likelihood of having their homes razed in a punitive measure abandoned in 2005 after the army said there was no proof it had any deterrent. Police say the killings of suspects were lawful and in self-defense. "According to the law ... when the danger is real, immediate, and threatens the life of a police officer or innocent people, he can shoot," spokeswoman Luba Samri told AFP. But Amnesty International told AFP it had "strong suspicions" about a policy of "deliberate killings," even though "the authorities have the absolute duty to ensure that their forces comply with the law." 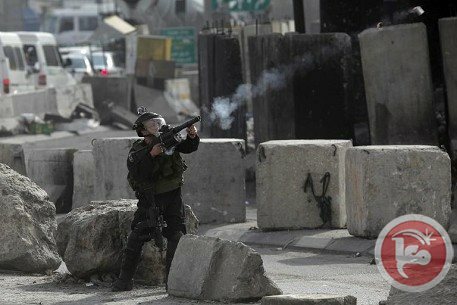 Even aside from the latest deadly attacks, the number of shootings of Palestinians by soldiers in the occupied West Bank has risen, Amnesty's Saleh Hijazi said. "In dealing with the Palestinians, (police and soldiers) use excessive force," he said. Rights groups say Aharonovitch's remarks have been instrumental in formulating attitudes in the field, particularly those he made to reporters on Nov. 5 at the scene of the second hit-and-run attack in Jerusalem in a fortnight. "The action of the border police officer who chased the terrorist and quickly killed him is the right and professional action, and that is the way I would like these incidents to end," he said. Three days later, Hamdan was shot dead in what many saw as the minister's words being put into action. B'Tselem said it was "extremely disturbed" by Aharonovitch's comments, which it described as "provocative" and encouraging "execution without trial." Israeli rights group ACRI said in a statement the expectation that "police officers will act as jury, judge, and executioner, is improper and unacceptable." According to Landsmann, Israel is also keen to avoid another prisoner swap deal in which it would have to free Palestinians convicted of killing Israelis -- as in 2011 when it released more than 1,000 prisoners in exchange for Gilad Shalit, a soldier held by Hamas militants for more than five years. "The best way to avoid releasing prisoners is not to arrest them to begin with," she wrote. Waiting for the news of re-opening Rafah Crossing, Siham al-Hindi, 55 years, is keen on the news since she needs to travel to Egypt for medical treatment after her health condition exacerbated. Siham must undergo a major abdominal surgery the soonest. She said that the medical tests she had made in Gaza hospitals showed the necessity of a delicate surgery in the abdomen, and thus doctors recommended her travel to Egypt for that surgery. The Egyptian authorities closed Rafah Crossing on 25th October 2014 with the pretext of the deteriorating security conditions in the north of the Sinai Peninsula. This came one day after announcing the death of 26 Egyptian soldiers in an attack on their post in “Karm al-Quadis” area in El Sheikh Zuwaid. The Crossing previously used to be partially open for a limited number of people. Palestinian citizen, Mona Abdin, is looking forward to re-opening Rafah Crossing in order to undergo an open heart surgery in Egypt by which she wishes to put an end to the pain of the severe heart attack she had two weeks ago. 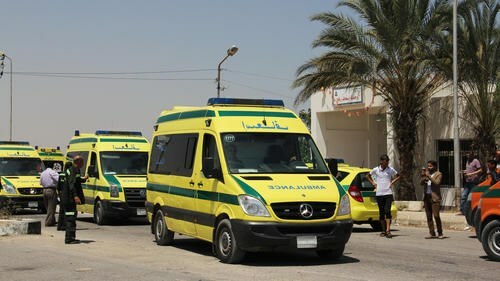 Abdin, whose critical need for traveling is prevented by the closure of the Crossing and who is receiving medical care at Abu-Yousef Al-Najjar Hospital, said that she had got a medical referral to Egypt. Al-Hindi and Abdin are only examples of thousands of Palestinian patients dying in Gaza Strip while waiting to get the needed medical attention. This is a sequel of the lack of medicine in Gaza as a result of the siege which has been imposed on the Strip for about 8 years. It is also a consequence of the Unity Government’s evasion of its responsibilities in Gaza. Aysha Humaid, 43 years, with a prolapsed disc does not look more fortunate as she awaits for the re-opening of the Egyptian borders with Gaza. “What is our guilt to be besieged and with closed Crossing in front of us? Is it logical to pay the price for Egypt’s internal problems? Is not what we encountered in the last aggression by the Israeli occupation enough?” she questioned. The Health Ministry spokesman in Gaza, Ashraf Al-Qidra, confirmed that the closure of Rafah Crossing was suffocating the patients in Gaza Strip as their urgent need to travel for medicine increased. He indicated that the closure of the Egyptian borders and the tightening of the blockade imposed on Gaza deprived about two thirds of Gaza patients of their official medical referrals and medical treatment outside Gaza. “The patients’ conditions cannot bear any further crises represented in lack of medicine and the fact that the [National] Reconciliation Government have not paid the catering and the cleaning companies in hospitals, and have not assumed its responsibilities,” he emphasized. The Internal Ministry spokesperson in Gaza, Eyad Al-Buzum, asserted that there was no justification for this closure. A number of Palestinian prisoners and detainees have been subjected to systematic torture and human rights violations in Israeli investigation centers, the Palestinian human rights network in charge of prisoners’ affairs Anin al-Qaid revealed. 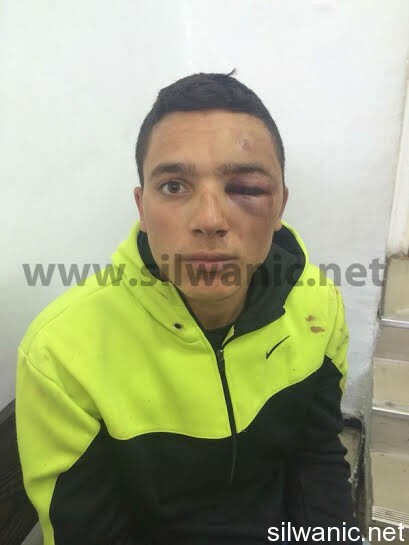 The network pointed out that four detainees, from Bethlehem, were tortured and beaten during their investigation in Maskoubia detention center in occupied Jerusalem. The four mentioned detainees face alleged charges of planning to assassinate the Israeli Foreign Minister Avigdor Lieberman. The human rights network stressed the need for the formation of an international investigation committee to deal with such issues and charges and to investigate the Israeli interrogators' use of torture. For its part, the Palestinian Prisoners Society (PPS) confirmed that the four detainees are indicted with the attempt to assassinate Israel’s Foreign Minister. The suspects are expected to be brought to court on November 24, he added. Israeli charges against the four detainees contain obvious and intentional exaggerations, the PPS lawyer said. Israeli media exaggeration of foiling Lieberman’s assassination attempt aims to show up Shin Bet’s successes and to impose the highest possible sentence against the detainees, according to the network’s statement. The PPS lawyer pointed out that the detainees were subjected since their arrest in August during the Israeli aggression on Gaza to a severe torture in Maskoubia investigation center. The lawyer clarified that the detainees face serious charges based on general exchange of ideas and thoughts between four citizens developed by Israeli Intelligence Services to be a military cell plots to assassinate Israeli ministers.